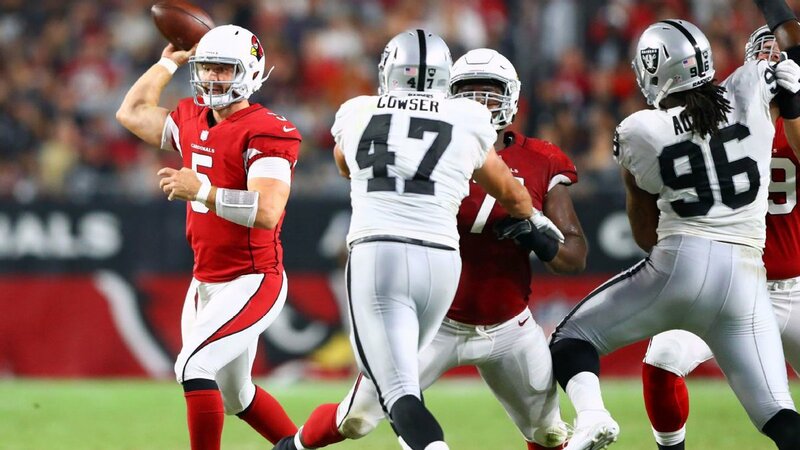 NFL preseason action continued Saturday night with a contest between the Arizona Cardinals and Oakland Raiders. But thanks to Marshawn Lynch—who didn’t even play – people are not talking about the actual game very much. Instead, the focus has been on what Lynch did; or more what he didn’t do– stand for the national anthem. But according to what Raiders head coach Jack Del Rio said Lynch told him, he never has. Media outlets don’t typically focus on the players during the national anthem, so it will be hard to disprove this claim. But PFT has uncovered at least one instance where Lynch did stand. Former NFL player Andrew Hawkins shared a couple of examples on Twitter from the 2015 season where fans noticed Lynch did not stand. Apparently, during his days in Seattle, he often stayed in the locker room until after the anthem was over. For those who care about the outcome of preseason games, the Cardinals beat the Raiders, 20-10. Neither team played many of their star players for long, of course. Like every other preseason game, any and every observation has to be taken with a grain of salt. Robert Nkemdiche was a disappointment as far as first round picks go last year. But he seems determined to make up for it this year. He played well against the Cowboys in the Hall of Fame game and was disruptive against the Raiders as well. Drew Stanton, Carson Palmer’s longtime back-up, tightened his grip on the job with a solid night (11-15, 112 yards, one touchdown). Blaine Gabbert came back down to Earth somewhat after playing well against the Cowboys last week (5-9 for 53 yards; four sacks). So, unless he lights it up during the rest of the preseason, it is safe to say the No. 2 job is Stanton’s (still). Bruce Arians must be happy with his offense’s third down efficiency (13-19). Connor Cook didn’t do much with his shot to play last season and didn’t do much with the time he got Saturday night. The second-year quarterback played the entire second half and went 10-21 for just 81 yards. Cooks best play was a tackle he made after tight end Gabe Holmes coughed the ball up. EJ Manuel didn’t have any of the Raiders first team guys to work with but still managed to have a decent statistical night (10-12, 107 yards; one sack). However, he did little where it matters most (led the team to just three points in the first half). 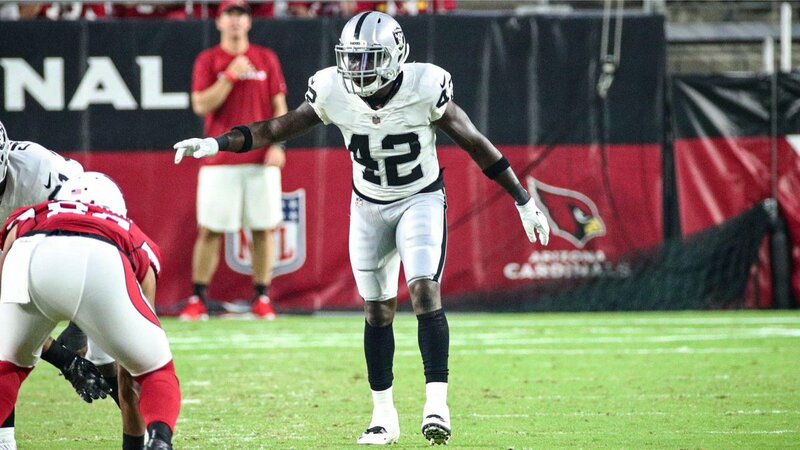 Raiders safety Karl Joseph looked like the big-hitter Oakland thought they were getting last season when they drafted (but didn’t see nearly enough during the season). If the Raiders lose too many guys off the first team offense, they are in trouble. They played primarily 2’s and 3’s against the Cardinals, and they looked terrible—and they were playing other 2’s and 3’s. Fans will have to wait until next Saturday to see Derek Carr plays when the Los Angeles Rams come to town (10 PM PM ET kickoff). Arizona will play host to the Chicago Bears (also on Saturday; kickoff also 10 PM ET).